He is still to return. As often as they can. With him being in the house. His part of the bed still untouched. (Do apply some moisturizer on it buddy). But her comment really showed the other way of looking into the picture. It looked oxymoronic to me. In one hand several cracks have occurred on the figurine. On the other hand the beautiful smile is still existent on her lips. 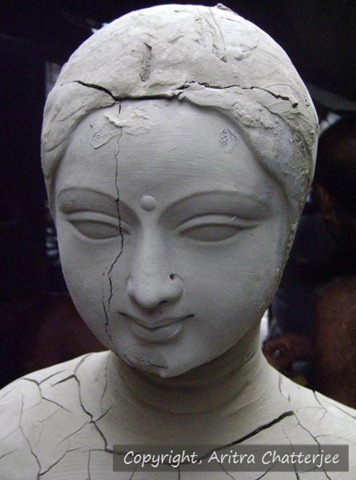 The figurine reminded me of a lady who is torn at the hands of time but still maintains the smile of hope.